Antaraa Vasudev from http://civis.vote/ has created a handy 4 page summary of the Seven Privacy Principles and the Indian Privacy Code, 2018. 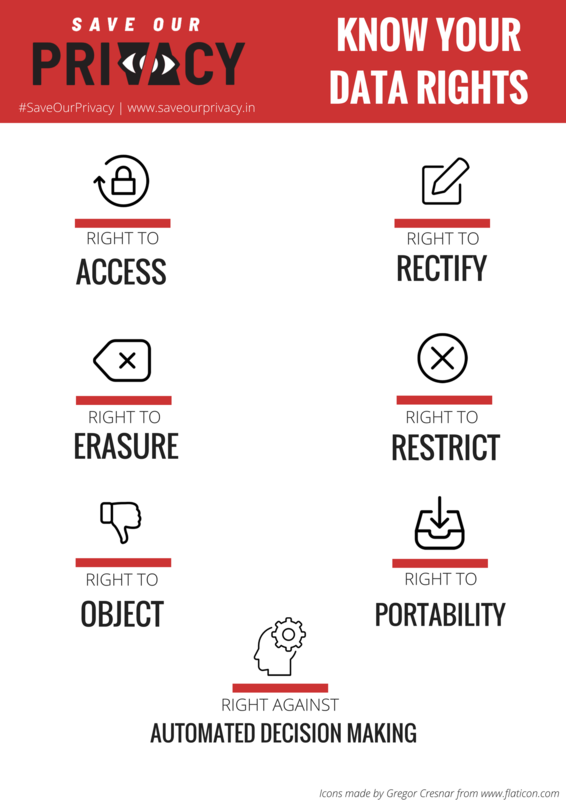 This summary comes with infographics on data rights and the regulatory structure. Click here to download and please do share it with your friends and family.